Have you been charged with a traffic ticket in Burlington, Ontario. Call Ticket Defenders®* to help you fight your charges. 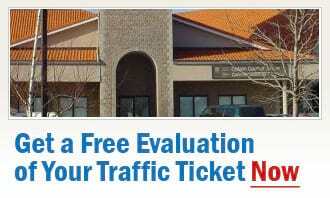 No matter what your traffic ticket, our competent, trustworthy traffic ticket experts at Ticket Defenders®* can provide you with a FREE, no obligation initial consultation to discuss your options. At Ticket Defenders®*, we know that each situation is different, and always ensure that your traffic tickets are thoroughly reviewed, and that all of the facts of your case are collected. With this information, we create the strongest possible case to get the charges against you withdrawn or dismissed. If you have a Careless Driving, Stunt Driving, Speeding Ticket, Drive Suspend, No Insurance, or any other traffic ticket in Burlington, call us for a FREE, no obligation consultation. Let Ticket Defenders®* help you fight your traffic ticket, protect your insurance premiums and demerit points. Call us today, and rest assured that we will do all that we possibly can to help you, whatever your traffic charge.